If you are planning a trip to the city, here are my top 10 things to do in Chicago during the summer! Ever since we moved to the Midwest we knew we wanted to travel to Chicago. The architecture, speakeasy bars, and the food -- Who wouldn’t want to travel there!? My husband and I were very fortunate to have company along for the trip that knew the town inside and out. Without them, I don’t think we would have figured out the transit system or have been able to do as many things as we wanted in just four short days! We visited Chicago during Memorial weekend and let me tell you, that was the best time to go! The sun and warm air definitely looks good on Chicago! Typically, I like to steer away from tourist attractions when visiting a new city, but if the locals highly recommend this tour, then you have to do it! The architecture boat tour is offered by a few companies. The one that we used was Wendella Boats. We chose the original architecture tour that is approximately 75 minutes. Tickets were $39 per adult. The tour navigates throughout the heart of the city on all three branches of the Chicago River while a professional guide narrates the story of all the unique buildings. If you are going in the summer, I would recommend scheduling an early tour or in the late evening as it can be very hot and there is no cover on the top deck. Definitely put on your sunscreen and bring a hat! There is also air conditioning and drinks provided on the lower deck in case you need a break from the heat! The architecture boat tour is located on the riverwalk along with many other fun activities like dining, kayaking, museums, or rent a boat or pontoon. This most recently developed 1.25-mile riverwalk is along the main branch of the Chicago River. Here is a map of the many activities you can do while on the Riverwalk. If you are traveling during the spring/summer months, you have to see a baseball game! For our trip, we saw the Cubs play at Wrigley Field. Wrigley Field is an iconic ballpark in Chicago making it the second oldest ballpark in the country! One of the coolest things that I found interesting about this field is that it’s located in the middle of a neighborhood. You can even get seats outside the field on apartment rooftops of the surrounding apartment buildings that peer down into Wrigley Field! These seats are affordable and much cheaper than what’s inside the ballpark. But if you do get seats inside, the concession foods lineup will be changing in 2018. Unfortunately, we weren’t able to see these changes but in June, they will be bringing in some of the city’s best chefs to serve special menus at the ballpark. One of my favorite chefs, Stephanie Izard, (restaurants Duck Duck Goat, Girl & the Goat, The Little Goat) will be presenting her special menu June 2-11 so check it out! Here is information if you would like to see a White Sox game. Since I work in performing arts for my main job, I really wanted to see a show but unfortunately, tickets were sold out for the musical, Hamilton. With that said, if you are planning on seeing a show, be sure to book ahead! This iconic theatre has been around since 1921 and has been Chicago’s most legendary venue! If you are looking for tickets or tour of the venue, here is the website for more information. Chicago is often referred to as “the city of neighborhoods” and for good reason! To be exact, Chicago has 77 great neighborhoods that you should check out. Here is a great resource that lays out all the neighborhoods and things to do in that area! This is why we chose an Airbnb instead of a hotel so that we could get a taste of how great they are. The neighborhood we stayed in was Logan Square. This area was great as it was only twenty minutes away from downtown and close to many great shops, restaurants, parks, and activities. This suburb is also where you will find the Greetings from Chicago mural. Just walk along N Milwaukee Ave around California Station to see the best parts. Mostly known for the Cloud Gate or “The Bean”, Millennium Park is where it’s at in the summertime. But what most people may not know is that during the summer season, there are many free activities to enjoy! Yoga classes, concerts, family activities and movie screenings, you can never go wrong when it’s free. Here is the summer schedule in case you are interested! Cool fact about The Bean: The Bean was created by using computer technology to cut into precise shapes 168 giant stainless steel plates, which were pieced together like a puzzle and welded shut; its highly polished exterior has no visible seams. 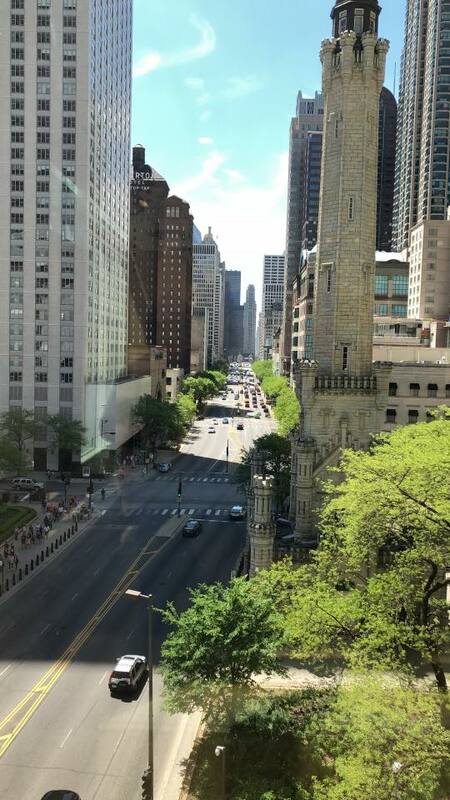 If you are looking for an all-day activity that is central to one location, then check out the Magnificent Mile. With the Magnificent Mile being the central hub for more than fifty landmark structures, simply walking up and down Michigan Avenue will give you a great taste of what Chicago has to offer. But, if you want an informational sightseeing adventure, I would recommend going on a tour. In Chicago, there are many types of tours you can choose from, like the aforementioned architecture boat tour, a bus or trolley tour; a self-guided walking tour; or even a Segway tour. If you are looking for a tourist activity, head over to 360 Chicago Observatory that is located at the top of the John Hancock Center. Be sure to experience the TILT attraction that is ninety-four stories above the Magnificent Mile. Shopping is also a fan favorite with more than 460 retailers! Shopping tip: If you are pushed for time but would like to shop, I would definitely check out Water Tower Place. This mall has up to seven levels with everything from the most popular shopping brands like Free People, Sephora, and Francesca’s. If you are looking to get a get a good run or bike ride in while traveling then Lincoln Park is where you need to go! Lincoln Park is one of the largest parks in Chicago and it’s about a mile from downtown and right on the lakefront. The Lakefront offers a nice “beach front” property for locals and visitors to enjoy. You’ve got the Lincoln Park Zoo (free! ), Chicago History Museum, Lincoln Park Conservatory (free! ), Nature Museum, North Pond, Green City Farmers Market, Diversey Driving Range and Chicago’s top beaches all centrally located! What better way to take in the Chicago views than with a rooftop bar or cafe? These are great if you like to steer away from the tourist activities like 360 Chicago but still want a good view. Experience beautifully crafted cocktails while taking in all of all the skyscrapers surrounded by you. Here are a few more rooftop bars that were recommended to us: The Signature Lounge, J. Parker, Soho House, London House, and Raised, and Urban Rooftop Bar. I saved the best for last! When you think of Chicago, you think of meat dishes like deep-dish pizza and hot dogs. While that sounds amazing, Chicago has many other food experiences to try! 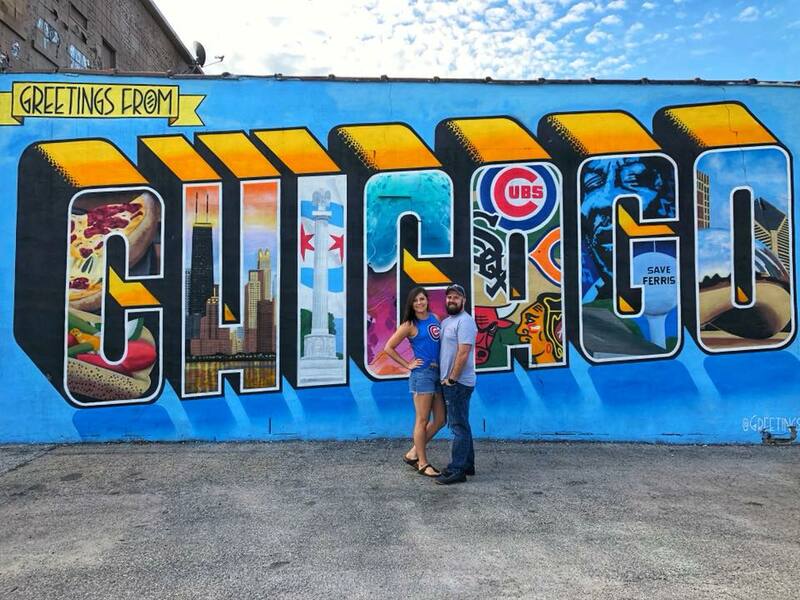 I’ll list the typical Chicago go-tos while also listing a few places that we tried and ones that were highly recommended to us below! Giordano’s - $, As a tourist, you have to hit up Giordano’s. One of the most successful pizzeria chains around that features the classic deep-dish pizza that is super cheesy! Pequod’s - $$, Known for their deep dish with a caramelized crust! Art of Pizza - $, Lakefront restaurant where you can order by the slice! Chicago Pizza and Oven Grinder Co. - $$,The famous Pizza Pot Pie! Piece Brewery & Pizzeria - $$, If you are looking for a good New Haven-style thin-crust pizza! 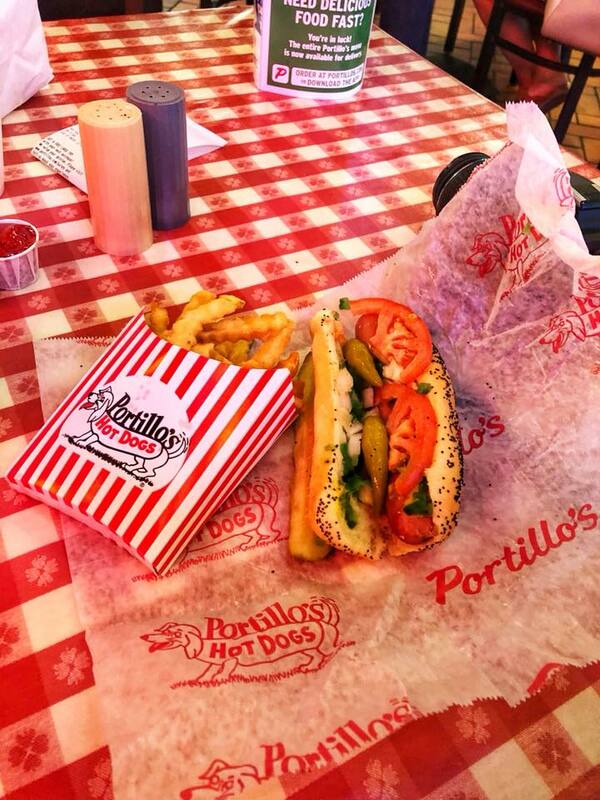 Portillo’s - $, Chicago staple for hot dogs, Maxwell Street Polish, and Italian Beef. Jim’s Original Hot Dog - $, Iconic Chicago street food items for dirt cheap at any hour of the day - plus comes with free fries! Sultan’s Market - $, If you are looking into Middle-Eastern cuisine at super cheap prices - and it’s BYOB! The falafels are the best! Cash only! BIG and little’s Restaurant - $, Cash only spot with a large variety of tacos, po’boys, and gourmet fries. J.P. Graziano Grocery - $, One of the longest running Italian market and sandwich shop. Aloha Poke - $, Great spot for a cheap poke bowl while maintaining great quality and flavor. Chicago Raw - $$, 100% plant-based, vegan, raw food. Doc B’s Fresh Kitchen - $$, Serves fresh, fast meals for lunch and dinner. True Food Kitchen - $$, A great relaxed, eco-chic atmosphere serving health-conscious food with vegan options. Sweetgreen - $$, Healthy restaurant chain serving seasonal warm bowls and salads. Protein Bar & Kitchen - $$, Delicious and nutritious high protein food and drinks. Mana Food Bar - $$, Great spot for vegans and vegetarians! LYFE Kitchen - $$, Globally inspired foods that are made with locally sourced ingredients. Vegan/vegetarian options! Girl & The Goat - $$$, Executive Chef and Top Chef, Stephanie Izard, serving new American style food and it’s amazing! Book ahead! Alinea - $$$$, three-Michelin starred restaurant. Enough said. Avec Restaurant - $$$, Inventive small plates with communal seating in a very minimalist space. Giant - $$$, Gastropub with seasonal new American plates and craft cocktails. 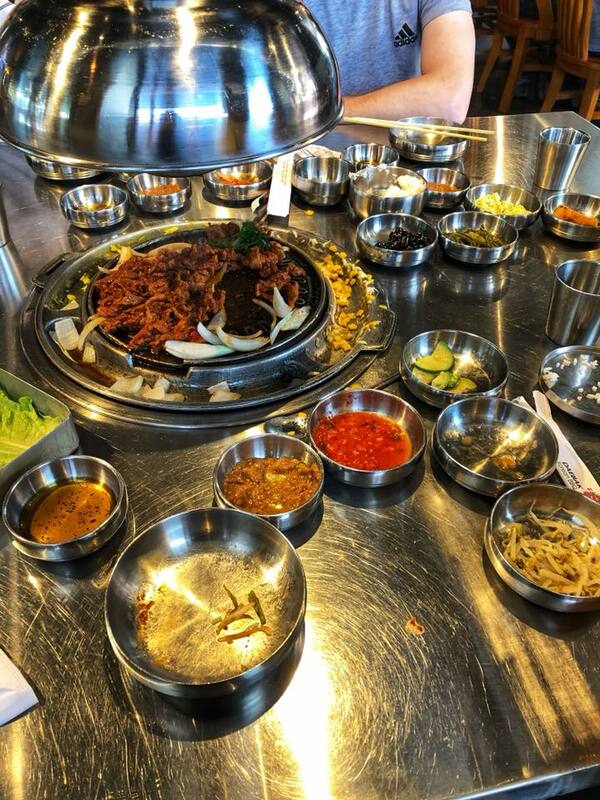 Daebak Korean BBQ - $$, Table-grilled BBQ located in Chinatown. Stan’s Donuts - $$, Best donuts in Chicago! Vegan and gluten-free options! Molly’s Cupcakes - $, Appeared on Cupcake Wars! Firecakes - $$, Serves donuts and ice cream. Werewolf Coffee - $, glitter lattes need I say more! Lula Cafe - $$, Known for being a popular brunch spot. Super cute and funky space! M.henry - $$, American comfort food with a twist! Mindy’s HotChocolate Restaurant and Dessert Bar - $$, Family-friendly American style eatery. Head over to the iconic Navy Pier to ride the Ferris wheel or see fireworks every Wednesday and Saturday. Specific dates are May 26 - September 1- after sundown, from Memorial Day through Labor Day. Check out Shedd Aquarium. The 4D shark show was my favorite! This area is also great for sightseeing and getting great views of Navy Pier, Waterfront, and sailboats. If you are looking for an evening activity, check out Emporium Arcade. There are three locations, Wicker Park, Logan Square, and Fulton Market. They have retro video games, an indoor food truck, and craft beer! The drinks can get pricey but five dollars can turn into 25 tokens so you can play for hours! Rent a Divvy bike and explore the town! There is always a festival going on in Chicago so check out this Event Guide. If you are looking for interesting and quirky activities, check out this resource! This is just scratching a surface of things to do when traveling to Chicago so if you have recommendations, let us know in the comments section!